Former Ghana FA chairman Alhaji Leopwura says the Black Stars have lost their fear factor in recent times. The football administrator was commenting on the recent poor form of the Ghanaian national team. The Black Stars suffered a 2-0 loss away to Egypt last month which has put their hopes of qualifying for the 2018 World Cup in jeopardy. And it is only the latest disappointment in a string of poor performances from Avram Grant’s side. 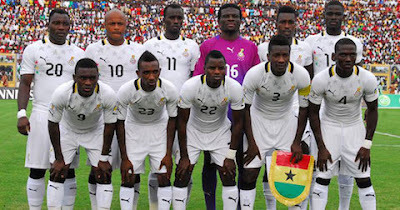 Leopwura believes the Black Stars are no longer feared on the Africa continent. "I have no idea about the problem or what is happening to the team, because I have no access to what happens in the technical room,” Jawula told the Ghana News Agency. "But I know that I have made an effort to put my idea across, that we have to consider all over again the concepts of Sulley Muntari and Kevin-Prince Boateng, but it fell on death ears. "If we go into a competition like the way we did against Egypt, it would not help us. In football you have to create or liaise with your players, it gives you an extra advantage. “Your opponent would have the feeling that they are facing a group of lions, they become scared of you, which is an advantage for you. "But in our team who is the lion now? Dede Ayew, Jordan Ayew, fine. Who else will they talk about again? Who will they be afraid of? You need a team that would make your opponent panic and that's why we need Sulley and Kevin back in the squad. "When Bukhard Ziese was the coach of Ghana in the early 1990s, we played a match against Nigeria and Abedi Pele was not fit to play, he still decided to add him to the squad to cause panic to the Super Eagles, they did not know when he would be thrown into the game"
The former FA chairman added: "We should open our eyes during the call ups because we have other big players in Europe. We need to scout well, we have to find a way and get back to our very best."